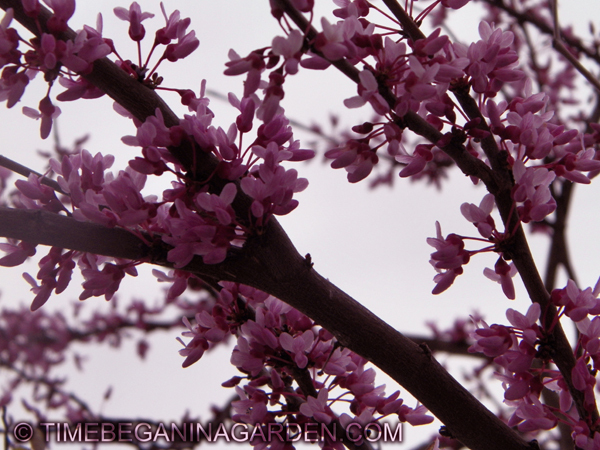 The Eastern redbud tree is usually one of the first trees to bloom in the spring. 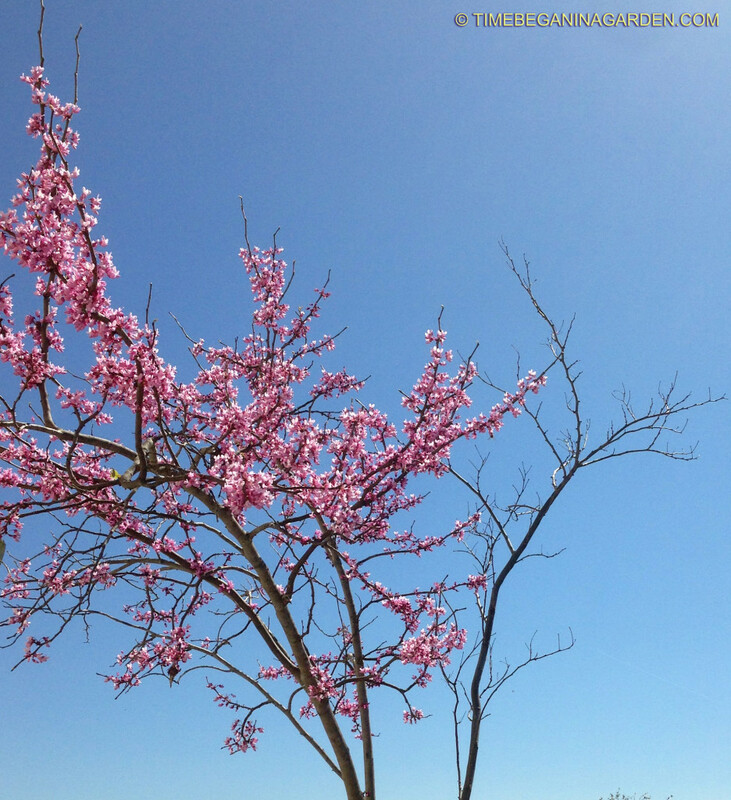 Flowers occur on old growth from March to May attracting hummingbirds and honeybees! It is often used as an ornamental tree in gardens and street-scapes. The leaves are beautifully heart shaped turning yellow in the fall. New trees are easily grown from seeds harvested from the trees. You should harvest the seeds early to avoid pest problems. To the right is the offshoot that has the same leaf shape but grew to the size of the original planting within 2 years and quickly split from the main trunk and died.